A Peterborough teacher has been indefinitely banned from teaching at any school or college in England. Jean Hawksworth was a teacher at Fulbridge Academy in Peterborough when she gave two references to a former colleague and personal friend who had been dismissed due to serious child safeguarding concerns that had arisen through the course of a criminal investigation (relating to alleged gross indecency) into his conduct with a pupil. At a Teaching Regulation Agency Professional Conduct Panel hearing on July 27, Mrs Hawsworth was found to have breached professional standards, ethics and behaviour. In his report the panels chair Alan Meyrick said: "The panel’s findings against Mrs Hawksworth relate to the repeated dishonest preparation of references for someone she knew well on a personal level who had been recently dismissed from a teaching position due to safeguarding concerns. "There is a strong public interest consideration in marking the seriousness of such behaviour, which undermines of the integrity of the system of provision of accurate and open references; and the adverse effect that this can have on safe recruitment. Mr Myrick added: "In this case I have considered the extent to which a prohibition order would protect children. The panel has observed “Safeguarding pupils' well-being is at the heart of good practice for a member of the teaching profession. Mrs Hawksworth failed in this regard, which is a serious failure, particularly for a teacher who acted as the designated 12 safeguarding lead at the School at which she was employed. 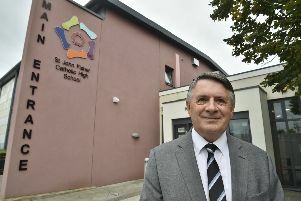 In banning the former Fulbridge Academy teacher he concluded: "This means that Mrs Jean Hawksworth is prohibited from teaching indefinitely and cannot teach in any school, sixth form college, relevant youth accommodation or children’s home in England. "She may apply for the prohibition order to be set aside, but not until 2020, 2 years from the date of this order at the earliest. This is not an automatic right to have the prohibition order removed."